In the center of San Pedro de Atacama ! The residencial La Rose d'Atacama is located in the center of San Pedro de Atacama, In the corner of Gustavo Le Paige and Calama streets. 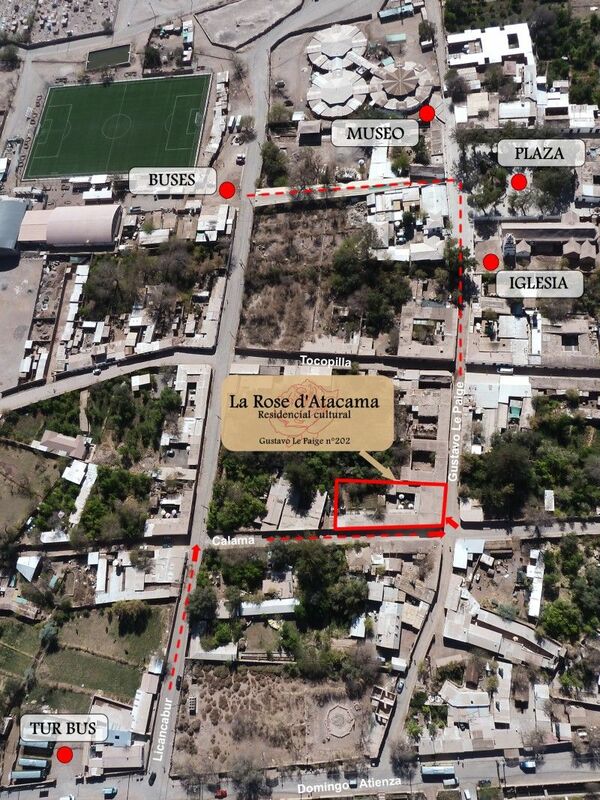 The residencial's street (Gustavo Le Paige) is parallel to the main street of San Pedro de Atacama (Caracoles street). 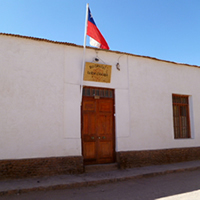 2 minutes walk from the main square of San Pedro de Atacama : Take the street to the right of the church (G. Paige), then continue straight ahead, cross Tocopilla street then it will be on the right side before Calama street. 15 minutes walk from San Pedro Bus terminal : Go direction to the center by walking Ignacio Carrera Pinto street until the public parking, then turn to the first street on your left (Gustavo Le Paige street), passing by the hospital, the post office "Correo de Chile" & the main square. Our hostel is 2 blocks after the main square (corner of Gustavo Le Paige street and Calama street).